Electronic medical records (EMR) programs are transforming healthcare by improving the quality of patient care. Less than a decade ago, nine out of ten doctors in the U.S. updated their patients’ records by hand and stored them in color-coded files. By the end of 2017, approximately 90% of office-based physicians nationwide will be using electronic health records (EHR adoption rates: 20 must-see stats March 2017, Practice Fusion). As these processes change safety is always a major concern. Healthcare is one of many industries, such as banking, that is automating workflows and processes by making our interactions as paperless as possible. Medical providers in dialysis centers are joining the movement to EMRs to streamline insurance transactions and billing, reduce dependence on paper files, perform electronic review of medical records and automate the charting of patient visits and treatments. A dialysis EMR deployment program also frees staff to concentrate on patient care rather than retrieving, updating and filing paper records. A properly designed and implemented program consolidates and organizes the patient file to provide finger-tip access to laboratory and other test results, complete prescription record and notes from multiple healthcare providers/staff involved in the diagnosis and treatment of the patient. This workflow analysis and design should always keep the end users in mind, as well as how the deployment and use of technology will happen. For dialysis patients, who often have lengthy medical records, the EMR includes all history in one location rather than having historical data stored in a separate paper file. It can help prevent medication errors, and highlight and note known allergies. Patients often are asked the same questions by different clinicians who may not have access to their entire history. The EMR eliminates these redundant questions, enhancing patient satisfaction. EMR programs can also help dialysis centers qualify for the Centers for Medical and Medicaid Services (CMS) End-Stage Renal Disease (ESRD) Quality Incentive Program. This program links CMS payments to quality of care measures. EMR’s include these measures in their programs and assist in producing the required documentation to certify compliance with the regulations. Infection is the second leading cause of death for dialysis patients. According to studies, including one funded in 2016 by the Agency for Healthcare Research and Quality, patients with fully electronic medical records experienced fewer adverse events such as hospital-acquired infections (Electronic health records trim odds of hospital-acquired infections, other adverse events, AHRQ). While this study reviewed hospital-acquired infections, there are many similarities to dialysis centers including the close proximity of patients in treatment areas, as well as staffing. The paper medical record itself possesses hidden health risks. The National Institutes of Health (NIH) published a study in 2014 titled, “Contamination of Medical Charts: An Important Source of Potential Infection in Hospitals” (Contamination of Medical Charts: An Important Source of Potential Infection in Hospitals). The NIH study concluded that a paper medical record is an important source of potential infection. Paper provides an environment where selected bacteria can reside. Paper files are also difficult to clean and/or sanitize. The NIH also noted that paper charts that have a plastic outside cover are especially prone to bacteria which is why it is important that manual documentation ringbinders have antimicrobial technology. 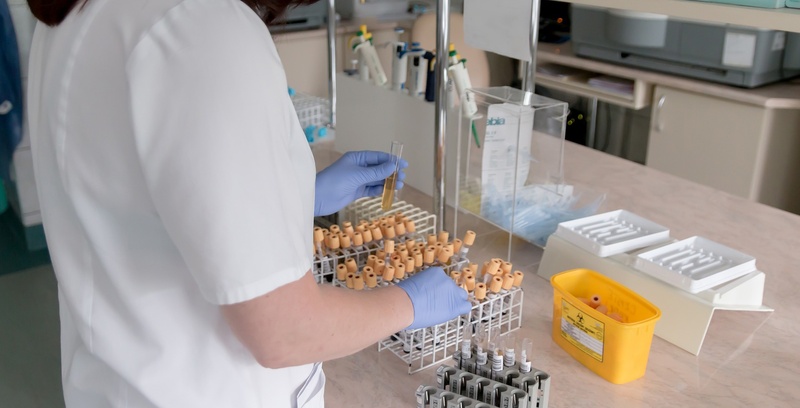 To reduce infection risk from paper medical records, the NIH stressed the importance of a comprehensive hand-washing procedure before and after handling these records and covers. EMR programs eliminate paper as a potential source of infection and provide less surface areas where harmful bacteria can hide. One of the many advantages of an EMR program is the ability to electronically access patient information via a portable computer workstation or tablet that is located near or adjacent to the patient care area. 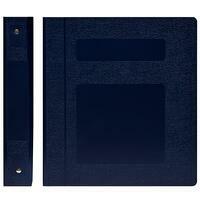 This portability significantly reduces a staff's time in retrieving, storing and filing paper charts and records. Many of the carts can be maneuvered into small areas, ideal for busy dialysis centers that have multiple treatment areas in close proximity. Combined with strong computer password protection procedures, EMR can also provide additional confidentiality over paper files in an era that is focused on HIPAA compliance and other patient privacy concerns. 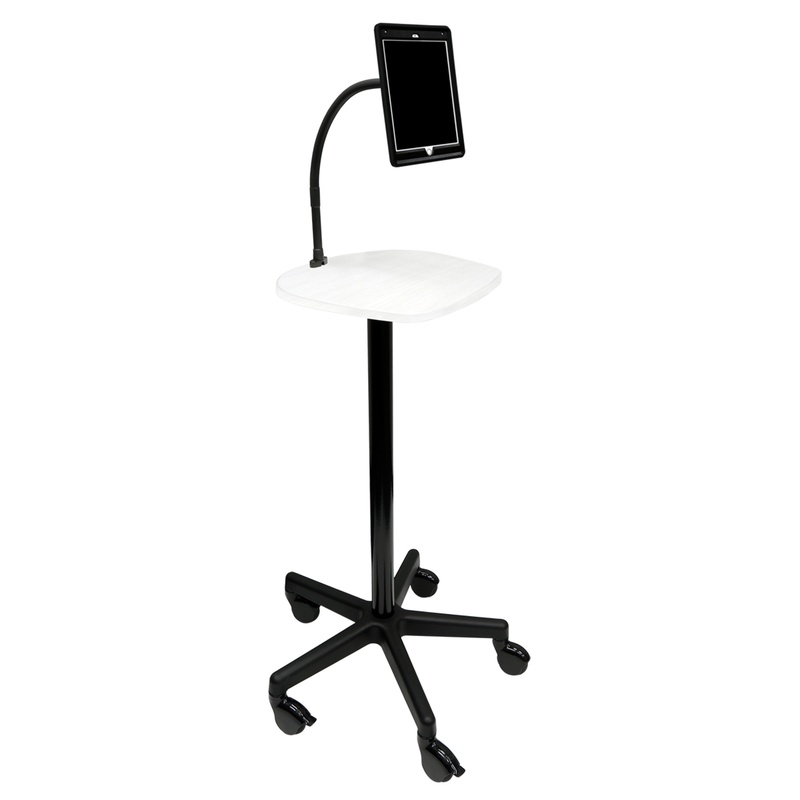 A tablet that is mounted on a cart can provide the flexibility to view the record at eye level, depending upon how the tablet is connected. Tablets can be mounted on carts in ‘clean areas’, then wheeled near the patient, reducing exposure to pathogens that may exist closer to the treatment area. The Centers for Disease Control and Prevention (CDC) recommends that unnecessary touching of surfaces in close proximity to the patient should be avoided to prevent contamination of clean hands/gloves from environmental surfaces. The CDC also recommends using EPA-registered disinfectants that have micro biocidal activity against the pathogens most likely to contaminate the patient-care environment. A tablet and cart can be disinfected prior to each patient use to reduce exposure to bacteria. The CDC has not issued guidelines with respect to removable protective covers or washable keyboards. Still, it’s feasible that a vertical tablet with a touch screen has fewer areas of exposure to bacteria than a horizontal keyboard and/or mouse. The vertical mounting of the tablet also minimizes issues with the pooling of liquids that may exist in horizontal workstations. A cart or workstation that holds gloves and Purell or other hand sanitizer provides a visible reminder for hand washing and infection prevention procedures. These easily accessible products support the dialysis centers commitment to infection prevention procedures. Additionally, many carts include tops and posts that have been designed to be easy to clean between patient treatments. Carts with an antimicrobial powder coating that have been baked into the product provide an additional level of protection for patients and staff. In conclusion, EMR programs provide significant advantages including enhancing patient safety while supporting your dialysis’ centers infection control efforts. Finding the solutions that work best for your patients, facility and workflows are key to increased safety.